This book presents recent research results on the illustrious verge of polaron science, which is broadly applied in condensed matter physics, solid state physics, and chemistry fields. It covers the modern progress of the polaron effect in various classes of materials. This book provides a thorough overview of the recent advancements in the polarons arena, and presents several active forms of guidance of scrutiny developed by well-known researchers. It describes interesting topics related to the new physical phenomena, experimental results, and applications of polarons. The scope includes both theoretical models and experimental works on different aspects of polarons, manifesting in conducting polymers, functionalized nanowires, glasses and their nanocomposites, organic semiconductors, semiconducting nanostructures, manganites, ferrites, transition metal oxides, high-temperature superconductors, colossal magnetoresistance oxides, and magnetic semiconductors. A collective of authoritative research articles provide recent achievements of theoretical models and experimental realizations of polaron properties in solid state physics and chemistry. They involve substantial research varying from single polaron phenomena to multi-polarons problems in advanced materials. 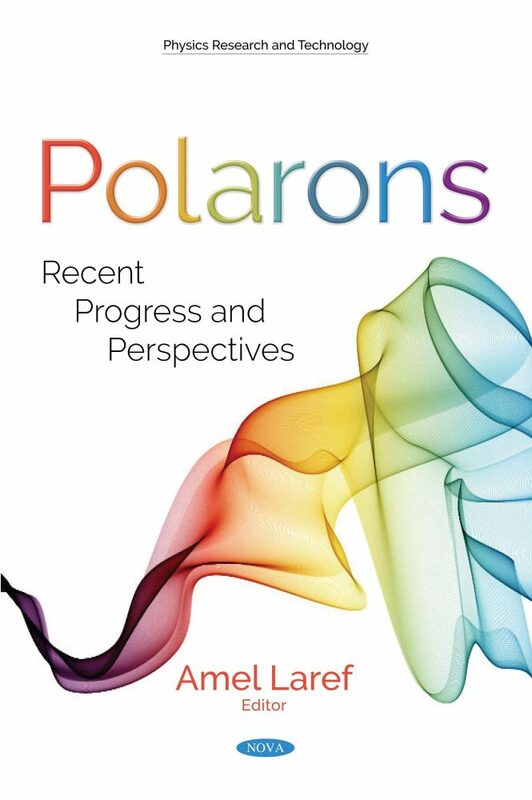 This book will be beneficial as a reference to support an inclusive perspective of the polaron phenomena in advanced materials and will be of prodigious significance to a broad range of researchers in condensed matter physics and material sciences.